Inspired by the love of the ocean and all beautiful things in nature, 'The Tide and The Moon Collective' has been designed by photographer Angel Wall in Western Australia. The exhibited photographic images on each scarf have been carefully selected for their vibrant colours, textures and patterns - wear them your way, they're special pieces of art for your wardrobe! Each unique and limited edition 'designer scarf' has been designed to highlight your most favourite colours, and take you to your treasured location; or somewhere you'd love to be. 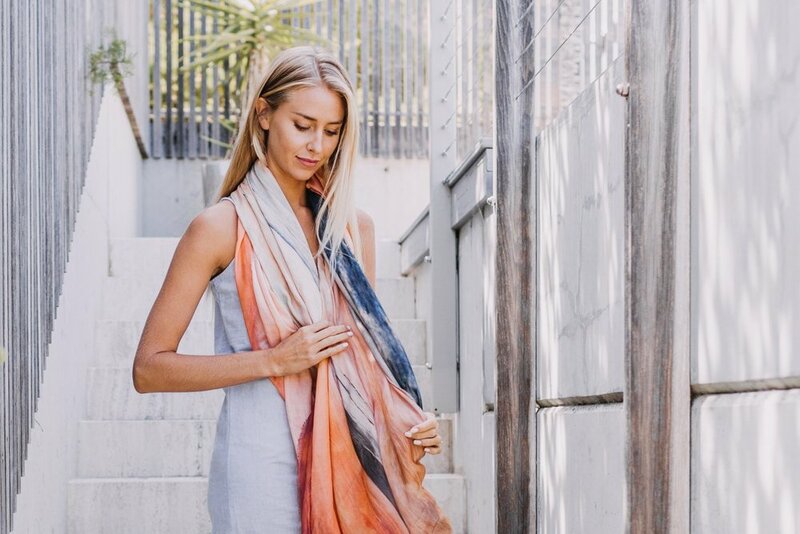 The scarves are superb quality; all materials have been carefully selected to feel luxuriously soft and comfortable while making a beautiful eye catching statement of wearable art that look great with beach dresses; office wear, or funk up a t-shirt & jeans.